Do you have a love for blue skies, sun and fun with the breeze blowing through your hair while spending a day on the water? Are you visiting the area for a conference and need to take a mid-day voyage? Then choose one of MD Yacht charter’s wonderful excursions, cruising the sites on the Potomac River. We offer creative new ways to enjoy the nation’s capital aboard a private yacht. Lunch with a friend, business meeting or a romantic day together, life is better on the water. Enjoy seasonal events at the National Harbor/MGM and the surrounding area. Customize your yacht experience just the way you want it. After sunbathing as you cruise on the Potomac River, dock at the National Harbor and have lunch at one of the many restaurants. Then try your lucky hand at MGM Resort and Casino and you must do some shopping at the Tangier Outlet featuring high-end designer brands like Michael Kors, Coach, Nike, H&M before boarding the ship for your next water adventure to watch the Sun Set or maybe catch a glimpse of Georgetown University. 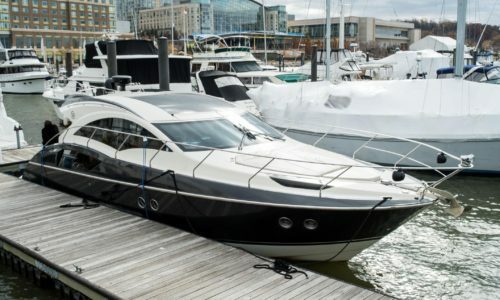 MD Yacht Charters BFLP (Business Fractional Leasing Program) is our flagship program that allows you to experience all the pleasures of yachting without the hassles associated with ownership. The Business Fractional Leasing Program gives you all the privileges and enjoyment of owning a yacht without the worries of maintenance, slip fees, insurance, and off-season storage cost. This exclusive offer is uniquely designed to cater towards the business owner who engages in businesses meetings, luncheons, dinners, outings and conferences frequently; but desires something that will offer diversity and comfort. This program allows for superior flexibility as you can schedule months in advance or at the last minute. Conduct your team building events for employees, and/or strategy sessions for Executive Leadership by water with our Nation’s Capital as the backdrop. Had a great time on the yacht. The staff was warm and pleasing to the guest. I would recommend this to everyone. MD Yacht Charters – Providing memorable Yacht Charters that will last a lifetime.